A recent article in the National Post: Vintage snobbery: Are wine critics fooling us into buying pricier bottles? evoked a touchy subject that your friends at SukasaStyle have addressed in a previous post –wine reviews: rigorous fact or creative fiction? This post won’t go where wine critics and their critics have gone before. Instead, it will urge you to do something Canadians are not doing: spend less on a bottle of wine. Wait, isn’t this blog about la dolce vita and enjoying life? Of course it is, and as we, and many others have stated before, life is too short to drink plonk. But paying more doesn’t necessarily mean more quality. 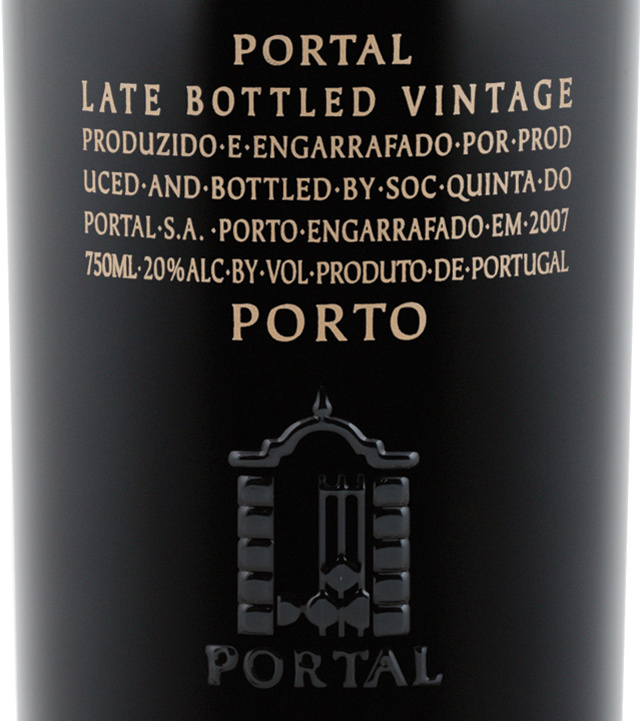 During these austere times, everyone is watching their pennies as the cost of living outpaces pay packets so this fine Wine Wednesday’s recommendation urges you to save your dollars but enjoy the quality of Quinta do Portal Late Bottled Vintage Port 2003 (Vintages 31001 at LCBO) retailing for $14.95 in Ontario. We had a winter with low rainfall and an average temperature higher than normal. With April came a heat wave and also quite a lot of rain that allowed a considerable vegetative expansion. In May the temperatures were lower than expected what allied to high rainfall led to some "desavinho" and "bagoinha". August was crucial and marked the average quality of the grapes due to an extraordinary thermic amplitude. The maturations were slow but effective. During the harvest the temperatures were mild and the rainfall weak. In quantity terms we had less than 40% of the normal crop. In summary, these were perfect conditions – worthy of the label Vintage. It is for this reason that LBVs are often referred to as "the poor man's vintage port", or, as The World Atlas of Wine more delicately dubs them, "the modern man's vintage port." Both of these descriptions are apt, because LBVs are less expensive (for the poor man) and require less time (for the impatient modern man) than vintage ports. Whether modern man, poor man, or like me, a little of both, LBVs should be your go to category of ports as the best of them can deliver a powerful and complex port drinking experience without the investment of time and money required to enjoy vintage ports. To learn more about LBV, click here for a detailed write up. A silky mouth feel is contrasted nicely by a slight tannic structure, with a plush mixture of cherries, berries and melons. The deep ruby colour and good legs is rounded out with a long finish. Drink now or cellar for 3 more years if you can wait. The acidity will pair well with Leicestershire Stilton or rich vanilla ice cream but there is no need: drink by itself and serve to your dinner guests and reflect upon the good life as you watch the crackling fireplace. Just remember that the Qunita do Portal LBVs are unfiltered so if you are patient and a purist, please decant. If you are impatient with no time for puritans, then pour through a tea strainer. Either way, you will be rewarded with a great LBV port without the sticker shock of vintage port and understand why Roy Hersh and Jancis Robinson consider it a hidden gem. SukasaStyle agrees. Blog post by Arijit Banik for SukasaStyle.